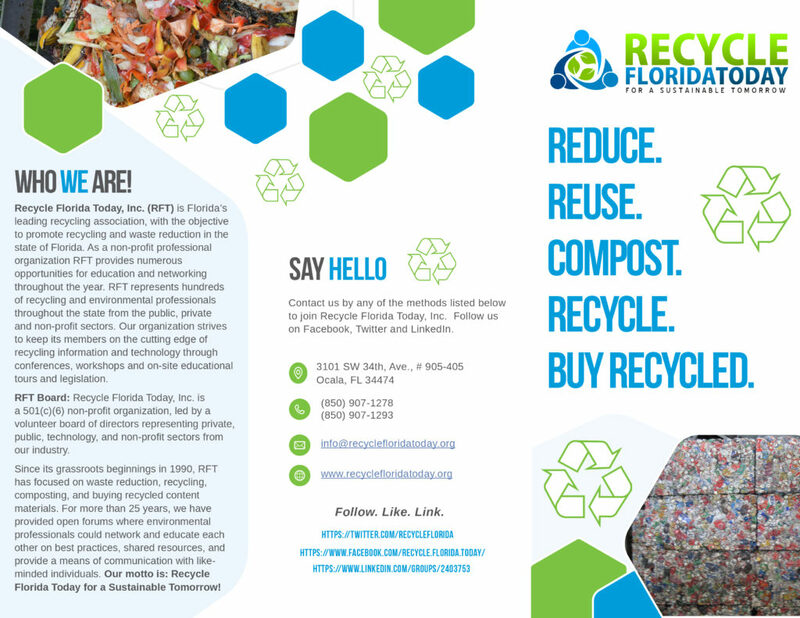 Membership | Recycle Florida Today, Inc.
here Being a member of RFT provides you with the benefits of a professional association among individuals engaged in the business of recycling. RFT assist individual members in improving skills and techniques in recycling through education, special studies, research, and the exchange of ideas and technical knowledge related to all forms of recycling. RFT also provides a forum for public, private and non-profit recyclers to mutually discuss and resolve recycling issues; to inform the public, law-making bodies and the business community of the economic significance and importance of recycling, and to demonstrate the high professional standards of those involved in the business of recycling. This is accomplished through sponsorship of and participation in educational meetings, research and publication of articles, reports, statistics, and other material. thesis justification of the study View all of the benefits of joining the organization by downloading a PDF version of our membership brochure humor viagra commercial theater elevator here or the brochure below.